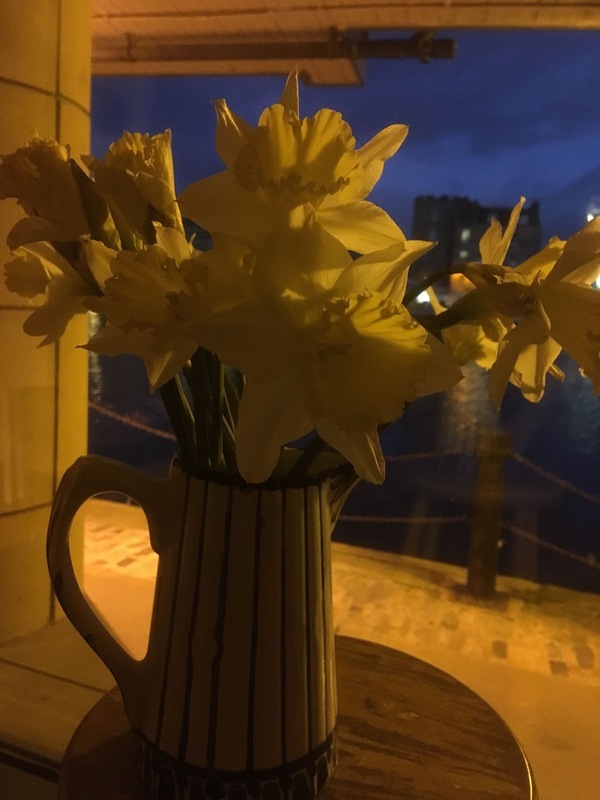 A dear friend and colleague gave me these daffs on Monday, when they were sad and closed. So I put them in water, as you do, as they opened. And it's absurd of me, I guess, to get so excited about something so banal. But I did. And I put them in the window because I wanted to share them with people walking by. And they won't last long, like our lives, I guess, and that's all the more reason to enjoy them.